Surfactants are generally referred as the materials that are used to reduce the surface tension between the solid and liquid interphase and between two liquid interphases. Agriculture surfactants are used to increase the efficiency of usage of herbicides (such as weed killers). Agricultural surfactants reduce the water surface tension, and since the herbicide and other sprays are mostly hydrophilic, this will keep the sprayed herbicide on targeted weed rather than rolling off into soil. Many of the commercially available agricultural surfactants are present, some of them are synthetic and others are nonsynthetic. 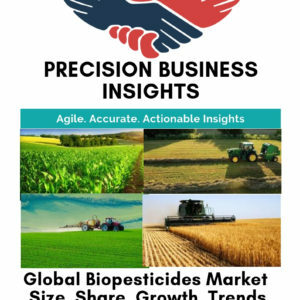 Development of the farming techniques such as precision farming and growing demand for the agrochemicals are expected to boost the global agricultural surfactants market over the forecast period. In addition, increase in the demand for the food due to the rise in population led to increase demand for the chemicals for crop protection and more crop production. This may bolster the market growth furthermore. Moreover, growth in the commercial forming and adaptation of the chemicals for increased crop production are expected to positively affect the growth of the market during the forecast period. However, the lack of awareness in farmers may impede the growth of global agricultural surfactants market during the forecast period. 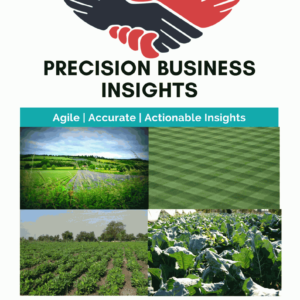 Global agricultural surfactants market is expected to grow at significant rates owing to the rise in food demand due to the growing population. Market players are focusing on developing the innovative products and focusing on the market expansions to increase their market share. For instance, in June 2013, The Dow Chemical Company has introduced TRITON HW-1000 Surfactant in North America for the broad range of applications including agrochemicals. Furthermore, companies also adopting mergers and acquisitions to enhance their market position and strengthen their portfolio. For instance, Ajinomoto Co. Inc. through its subsidiary S.A. Ajinomoto OmniChem N.V. has entered into an agreement to acquire majority shares of Agro2Agri, S.L. to strengthen its market position in agrochemical business. Geographically Agricultural Surfactants market is divided into five key regions, i.e. North America, Europe, Asia- Pacific, Latin America, and The Middle East & Africa. Asia Pacific agricultural surfactants market is projected to be a potential market due to the rise in the adaptation rates, growth in commercial forming and growing the population especially in countries like India. Europe agricultural surfactants market is expected to grow at notable rates owing to the presence of key market players and growing adaptation of chemicals in forming. Furthermore, companies operating in Europe agricultural surfactant market are expanding their presence with the acquisitions and mergers. For instance, in December 2016, Innospec Inc. has acquired European differentiated surfactants business from Huntsman Corp. This acquisition will expand the surfactants business of home care and personal care business of Innospec including presence in small presence in new market to Innospec including Agriculture, Mining, and Construction. North America agricultural surfactants market is expected to grow at significant rates owing to the recent product launches, growing demand for quality food due to rise in population coupled with the adaptation of the agrochemicals in the farming. In June 2014, Logos Technologies has launched NatSurFact line of biosurfactants that has wide range of applications including agriculture.